I began teaching Buti Yoga in September of 2017 and am loving the opportunity to share this movement practice I am so passionate about! 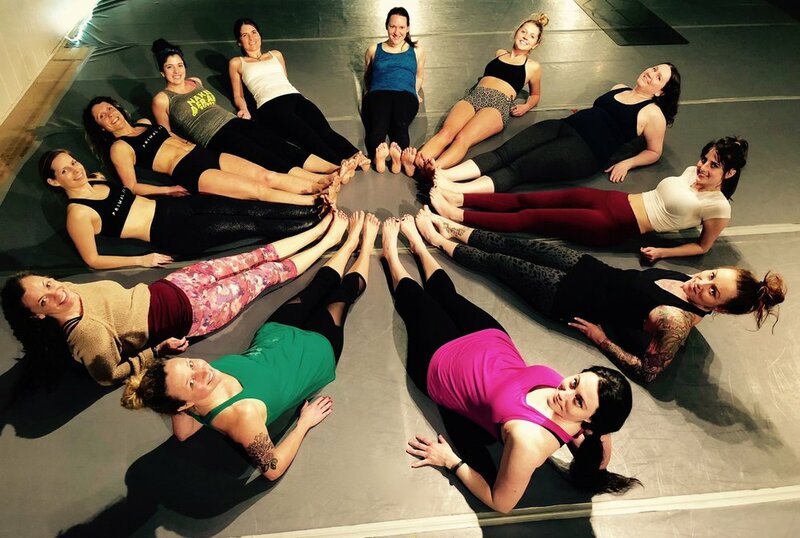 I teach with Primal Studios in Asheville and thrive on this high energy, blissful practice! If you told me a few years ago, I’d be teaching a movement practice called Buti Yoga - I would be really excited that I had found a new passion, but completely perplexed over how and what it is! Buti Yoga is a high energy yoga practice infused with primal dance, plyometrics, deep core engagement, and facilitates inner growth that is leading me to to big transformations in my life. In winter of 2016, I was losing hope that I might find a passion outside of my work through videography, which I had been immersed in since the age of 15. It’s not that I didn’t like it anymore, but it was ALL I did and I knew the excessive time spent behind a computer video editing wasn’t healthy. What I wanted to find was both a movement practice and a group of friends that I would interact with regularly and ultimately build and grow with. I had tried a lot of different fitness routines, clubs, meet-ups, etc in the past year or so since moving to Asheville, NC and was starting to feel like it wouldn’t happen for me. What happened next was an acceleration of leaps and trust falls into the universe as I decided to become a Buti Yoga instructor. The positive changes I experienced allowed me to fulfill my desire to get off the computer more and then provided beyond what I consciously asked for. By following my excitement, I allowed myself to grow instead of staying stagnant and comfortable. One of my friends I met through Buti Yoga and I both declared within minutes of meeting that 2017 was “the year of the uncomfortable” and we have both come away from that year changed for the better! Buti is an Indian Marathi word that means “a cure that has been hidden beneath the surface or kept secret.” Buti Yoga has helped me connect with the deepest and often darkest parts of myself which has led me to sustainable transformation. Indeed, we all hold the sacred power to heal from the inside out! If you feel compelled to find something more in life, something to activate greater joy from within, don’t give up! Keep your eyes open and try new things! You never know what one small action can lead you to.